I spent about a week total in Quebrada Guabo: a few days when I first entered the Comarca, and a few days before I left. In between those trips, I took a covered truck (called a chiva) up to Hato Ratón, a small rural town in the mountains where everyone warned me the air would be cold. There, I stayed with Ramon, an agricultural sustainability advisor, local community leader, and father of five. Ramon is the reason Few for Change funds students from Ratón. Several years ago, Ramon heard that a group of college students were funding scholarships to help Ngäbe students stay in school in Quebrada Guabo, and contacted Few for Change to advocate for students in his community. By chiva, Ratón is about 2.5 hours away on a bumpy dirt road. This was the method I took, along with all my camera equipment. Luckily, I could afford the $7 one-way fare - but middle school graduates from Ratón who wish to attend high school must either make this long and expensive journey every day or board in a nearby town, often at prohibitive cost to their families. Few for Change currently funds scholarships for eight students from Ratón. Few for Change members share a chiva ride with locals on the way to last year's scholarship ceremony. Ratón's elementary and middle school is about a 5-hour chiva ride from the nearest high school. Laundry on the line at a neighbor's home in Ratón. Some of the qualities that struck me most about Ramon were his energy, passion, and complete devotion to his community. 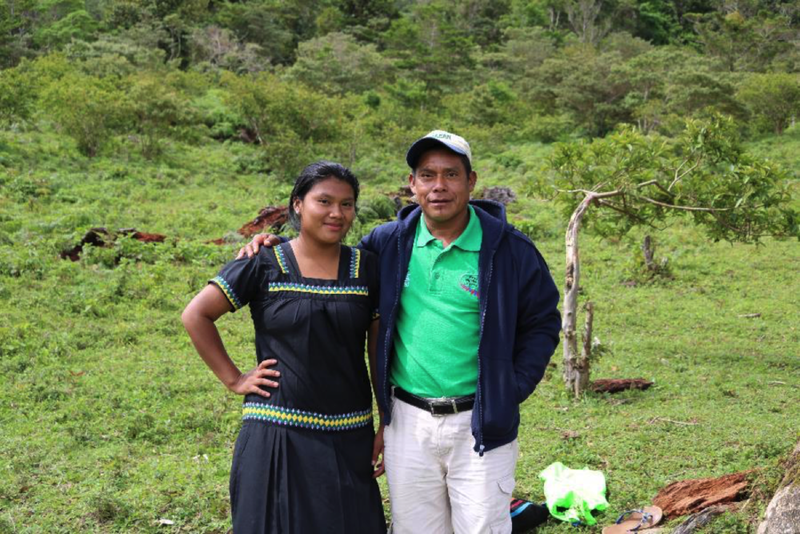 He travels throughout the Comarca for work, advising farmers on sustainable practices so they do not deplete the soil and natural resources on which their livelihoods depend. Ramon was born in the Comarca, but he attended university outside its borders on scholarship from a group in Germany. When he is not working, he devotes his free time to advocating for his community and his family. 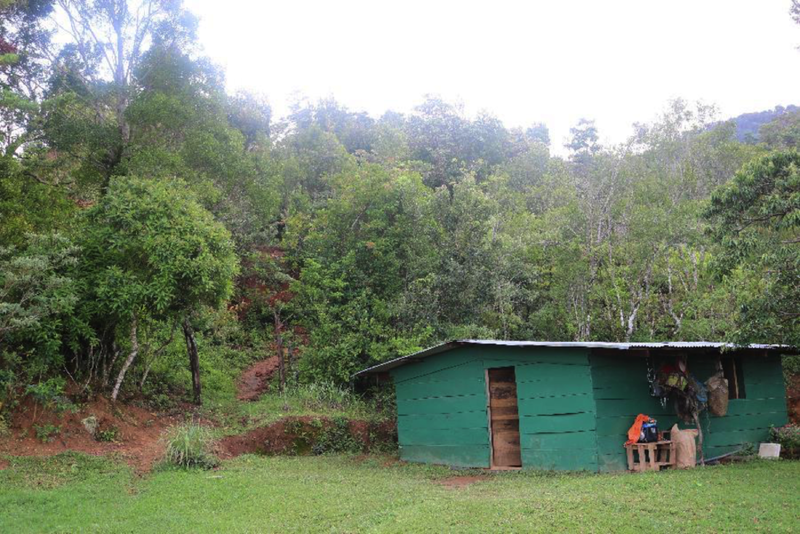 His land sits on the side of a mountain, and on it he has built a small house, a typical Ngäbe kitchen, a chicken coop, and a smaller house that he built for one of his daughters, where Few for Change members stay when we visit. He jokingly calls this the “Few for Change Office”. His home has some running water, the product of a gravitational pipe system he built that brings in fresh water from the mountain. Ramon's house (left) and kitchen (right). Few for Change's de facto "office" in Ratón. Ramon and Denia, his oldest daughter. The work-in-progress community center where Ramon held his meeting. During my time at his home, he and his children were rarely idle. I did not get to meet Ramon until I had already been staying at his house for several days, as I arrived on a weekday and he was working. He sent one of his daughters, Denia, down to Quebrada Guabo to find me and get me to Ratón. I was exhausted and needed a long rest after the trip. I am still not sure how Denia managed it twice in one day and still cooked me dinner. Afterward, she took me around Ratón, where I met several local Few for Change scholars, and some parents of students who board in another town to avoid making the long trip to school and back every day. Walking around the neighborhood, I drew many curious stares. With some additional explanation in Ngäbere, Denia convinced some of them to say a few words on camera about Few for Change’s role in their lives. I am completely indebted to her for virtually all of my footage from Ratón. When I finally met Ramon, it became clear that the apple did not fall far from the tree when it came to his family. He came in late at night, but was up early the next morning, eager to do an interview. He had scheduled a meeting with students and their parents in a small building in the town center that he had organized fundraising and construction for, and hoped I would be there to film and speak to the group. During our interview, he spoke passionately about his desire to give back to his community; about the inequality of resources in Panama and the discrimination that his people face. He also lamented the inadequacy of local education, taught mostly by teachers who are not from the Comarca themselves. Ramon believes that the principle of sustainability should be extended through every aspect of moving his community forward, from agriculture to education. One of his current side projects - when he is not working, spending time with his family, or doing promotional work for Few for Change - involves raising money to save for a communally-owned truck, so that families in Ratón can afford to send their kids to school and bring crops and goods to market without having to pay expensive fares with local chivas. During my stay with Ramon and his family, I was able to get footage of his two youngest daughters walking to school, doing homework, and doing work/play around the house, as well as interviews with Ramon, scholarship recipients and their families, and several teachers at the local school. We even got to attend a fútbol game, where Ramon’s son scored a goal! Even a short stay in Ratón presents a great deal about both the diversity of daily life between communities in the Comarca and the shared challenges. 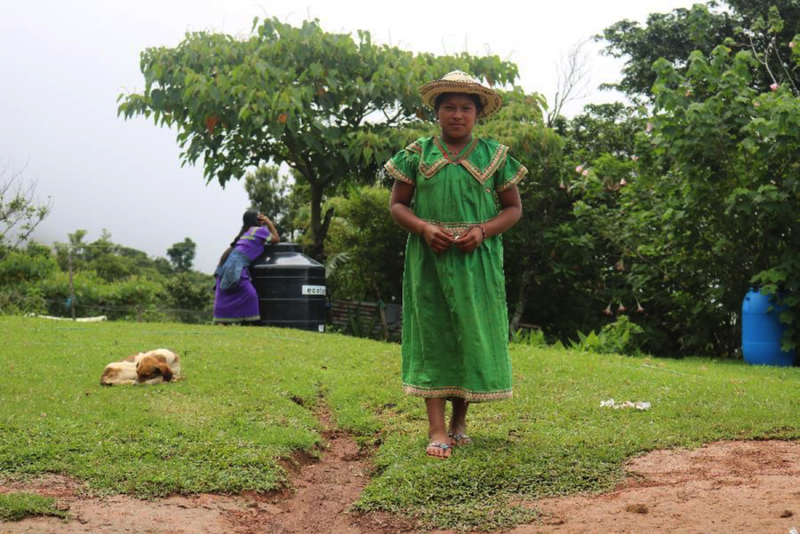 Riding the chiva into the cold mountain air, hiking the trails between scattered family homes, attending the fútbol game...these experiences framed my discussions with community leaders and teachers about the challenges to education, healthcare, and commerce presented by the remote location. Currently, Ratón is the furthest geographical point of penetration into the Comarca Ngabe-Bugle where Few For Change works. To expand further, we will need the help of additional community leaders like Ramon: as many as we can get. 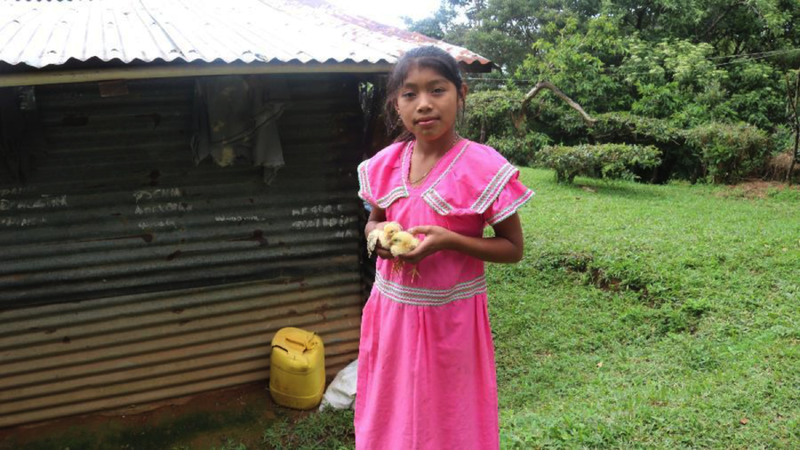 Denia Lisneth is one of Ramon's four daughters, and has been a Few for Change scholar for two years. Ramon's youngest daughter showing off her latest accomplishment - rounding up some escaped chicks! Ramon and his family at the futbol match. I gained a camera crew member on the sidelines!